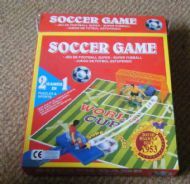 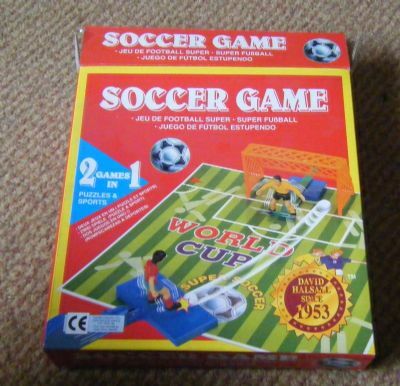 A pocket money type smaller game in a box using the penalty shoot out theme that seemed very popular for a while. 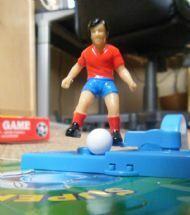 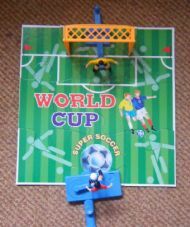 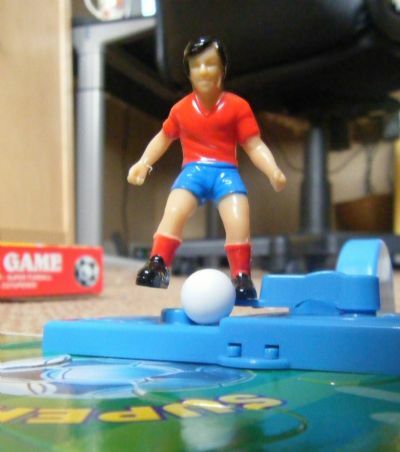 Aimed at younger children this game also had a pitch made from a nine piece jigsaw. 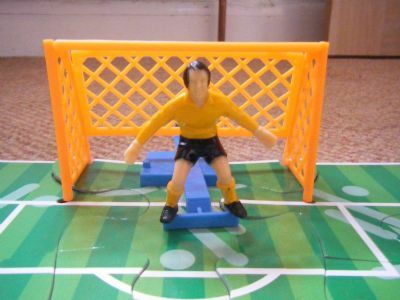 The goalie is rather large for the goal. 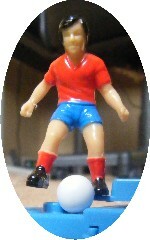 The kicking figure works well and has an adjustable tee for the ball so you can spin or swerve the ball. 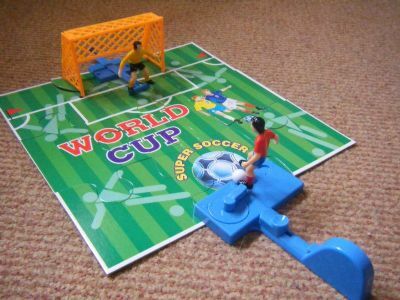 Very nicely designed and presented game for children.